Sending out mass text messages at one time using a bulk SMS provider is the most effective way of communicating your message quickly and cheaply. A range of major bulk SMS providers in UK were reviewed so as to assist you in deciding which one to engage. Small or large businesses throughout UK are rapidly understanding the value of adopting mass or bulk SMS service as an effective way of getting their message ago to large groups of people for marketing and communication campaigns, offering special deals and alerts to upcoming deals. Bulk SMS is a simple yet effective way to send mass text messages to a specific set of people or groups of people at a low cost with an assurance that such people will receive the text message promptly through their mobile phone, Web or any sort of mobile communication system. Bulk SMS providers use a variety of wireless telecommunication gateways to ensure such short messages are distributed efficiently. In UK, there are a number of reliable bulk SMS providers who can service your needs. The only requirement is that you provide the bulk sms company with the database of either clients, customers, staff or whoever needs to receive the message. The whole process from formulating the sms to distributing it takes only minutes from start to finish. It does not matter if your database covers few hundred or one hundred thousand contacts, it is a great way of communicating. What is so good about sending SMS in large quantities is that you, as the client do not need any special software to be installed or downloaded as the bulk sms providers are totally web based. What does means is that you only need a web browser and of course access to the internet. So you only have to state to the Bulk SMS provider which group or groups of people you wish to contact and they will do the rest. What is also so good about the distribution of such text messages is that it is a two way process. 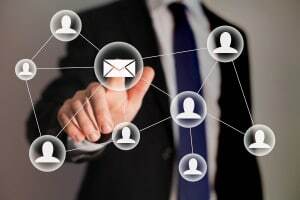 It means that a piece of communication can be sent in mass to a target audience and you have the opportunity, if required, to receive replies from the recipients which can be viewed on the web or forwarded to a specific email address. Obviously, that means that you have immediate responses to the sms that was just sent out a little while ago. Imagine scheduling the transmission of a text message (SMS) for a set time or a certain date and knowing that the bulk sms provider will do the rest. Great for reminders for appointments or notifying of important dates or events that customers, clients, or staff should know about. If you want to introduce or promote a major or minor marketing or communication campaign, use a bulk SMS provider to do the work for you. To have peace of mind to know that the bulk sms provider can totally track the SMS and find out when the message has been received on the recipient’s mobile device is a reassuring option. All incoming and outgoing SMS are recorded and documented as well as a delivery tracking analysis can be prepared for the marketing or communication campaigns that you may be instrument in managing. These recordings are easily exported onto any Excel spreadsheet for review and comments if required. Take the example of governments and local councils who realised the value of immediacy and cut-through of bulk text messaging as an easily understood and used information tool. One case is alerting the community of any unsettled weather condition through SMS. With the ability to reach hundreds of thousands of mobile phones on multiple gateway networks within seconds means that distributing large volumes of SMS quickly has established itself as a trusted and reliable communication tool used across UK. When sending SMS in bulk it is obvious that one demands to know that there is an effective and efficient way keeping the overall cost of distributing sms to a minimum. Review of the major bulk British SMS providers indicates that they do offer low and competitive rates for each SMS sent out whether they be in small or large volumes. Knowing that bulk SMS providers offer a range of prices to suit businesses needs, organisations like gyms and social clubs through to online services use SMS in bulk to keep their customers and consumers happy with regular offers and updates. In UK, there happens to be a good range of reliable bulk sms service providers available which offer reasonably low prices dependent on distribution volumes during a month period. The ranges investigated varied from low volume numbers of less than 10,000 text messages per month to over 250,000 + messages over a month period. They do provide reliable software and have reliability factor within a range of 99.95 to 100% uptime. In many cases there are no set up costs and a two-way SMS option at no extra cost. This graph below shows a rating of how each Bulk SMS distributor fares in their cost structure. With larger volumes from over 250,000 SMS each month, WholesaleSMS shone as providing the cheapest rates of all its competitors. Textit charges were much more expensive than many of the other bulk distributors. The major British bulk SMS providers reviewed run high speed gateway that are able to distribute high volume text messages within a short time period. As such they are able to provide detailed and easily interpreted reports which present various aspects of delivery whether it be bounces of text messages sent through the API or through an online platform. All of these providers do have a customer centre number whether it be 24/7 or in business hours. All provide an email support service Although in one case not mentioned, that being Textit, the other bulk providers are anti-SPAM compliant. They provide a cleaning service which allows them to clean SMS contact lists when imported and have the ability to reformat numbers when different styles are indicated. Some possess auto-opt out availability for their clients with a no charge access to their accumulated pool of shared virtual reply numbers. So overall, when it comes to providing an overall good service to support their promises of presenting a quality range of customer related features for bulk SMS distribution, four bulk providers exceed an 90+ rating, namely SMS Tech, SMS Central, DirectSMS and ClickSend. The remainder of these bulk providers are nearly as good with a 80+ rating so the differential is minimal in sorting one against the other, so it would be difficult to exclude any one or more providers dependent on customer service and support. Which Bulk Text Messages Provider Has The Best Reliability? Again it is reassuring to know from the review done of the major bulk SMS providers that they offer a reliable and efficient means of distributing text messages effectively. Some of these bulk distributors do a service but there may be a time lag or their promptness in servicing the clients is not as good as other competitors. In general based on a rating system of 0 to 100, where 100 is very reliable in all its features and services provided, Wholesale SMS is the best followed relatively closely by ClickSend and SMS Tech. These three companies are also regarded by many large British companies as having a very good reputation among their peers. The Bulk SMS Comparison site of major British bulk provided provides you with an independent review of the features, charges, services and reliability of these companies. The review was prepared a set of experts on the text messaging field who are no longer in the area but have the knowledge and skills to be able to part advice to readers. The reason for the site came because potential clients who wanted to use SMS as a great way of communicating needs a set of selection criteria in order to decide which bulk SMS provider would be best suited to their needs. Knowing this demand, the authors established this site outlining the major features that needed to be considered before engaging one of the bulk companies. It needs to be mentioned that even though the site is free to anyone using it, if the use of the site leads to an agreement with one of the bulk SMS companies to engage their services, then a commission will be requested of the bulk company and not the client. As the bulk sms providers sites can change their features and services without notification, if you do find an anomaly or a change of features or charges, please let the authors know so that the changes can be made promptly. This page was last updated on 24 September 2016.